Today, state Senator Sean J. O'Brien (D-Bazetta) announced that the U.S. Army Corps of Engineers issued a water quality certification to TJX Companies for its Home Goods Distribution Center project in Lordstown. 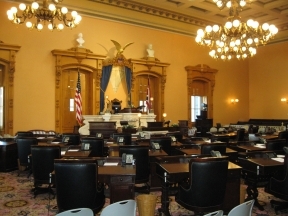 The Ohio Legislative Trails Caucus (OTLC) held its first meeting of the 133rd General Assembly today in Columbus. 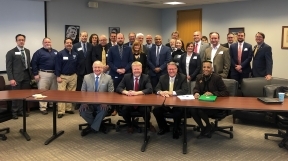 The bipartisan, bicameral group of state legislators is co-chaired by state Senator Sean J. O'Brien (D-Bazetta) and advocates for issues involving the development, maintenance and preservation of Ohio's trails. 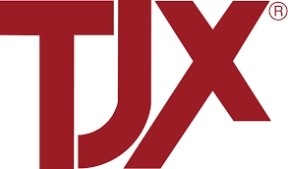 State Senator Sean J. O'Brien (D-Bazetta) announced today that the Ohio Environmental Protection Agency has issued a water quality certification to TJX Companies for its TJX HomeGoods distribution center in Lordstown. That means construction on the 1.2 million-square-foot facility may continue, with a groundbreaking expected in early April. 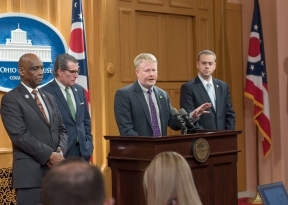 Today, state Senators Sean J. O'Brien (D-Bazetta) and John Eklund (R-Munson Township) introduced a full draft of their bill to revise Ohio's drug sentencing laws. 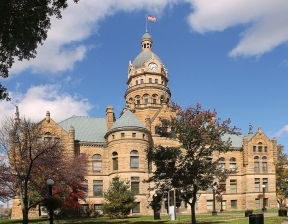 Today, state Senator Sean J. O'Brien (D-Bazetta) announced the release of $200,000 for housing assistance programs throughout Trumbull County. The funds were granted to the Trumbull Neighborhood Partnership and will help low-income homeowners with home repairs and renovations to improve accessibility. State Senator Sean J. O'Brien (D-Bazetta), a longtime voice in the effort to secure the extradition of Claudia Hoerig from Brazil, praised her conviction today for aggravated murder for the 2007 killing of her husband, Major Karl Hoerig. 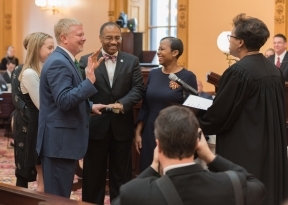 Today, state Senator Sean J. O'Brien (D-Bazetta) took the oath of office to serve in the Ohio Senate during the 133rd General Assembly. 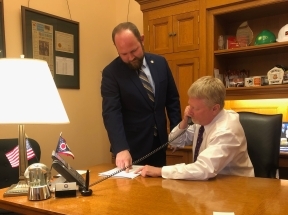 Today, state Senator Sean J. O'Brien (D-Bazetta) commented on the passage of Senate Bill 201, which he sponsored jointly with state Sen. Kevin Bacon (R-Minerva Park) and which was part of the "Reagan Tokes Act". 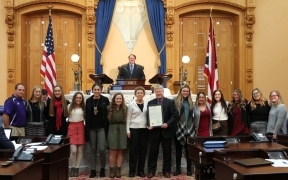 Today, state Senator Sean J. O'Brien (D-Bazetta) recognized the Champion High School girls softball team for their 2018 Division III State Championship on the Ohio Senate floor.